Management review is an essential part of any compliance system, be it health & safety, quality management, food safety or environmental management. Yet, far too many organisations fail to derive any value from their management reviews. Instead, they view them as a compulsory exercise in ‘box ticking’ that needs to be completed as quickly and painlessly as possible. It shouldn’t be this way – not if you want your organisation to thrive and achieve its true potential. 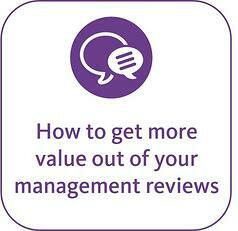 If done well - and often - management reviews are incredibly useful. In fact, they can be a game-changer.